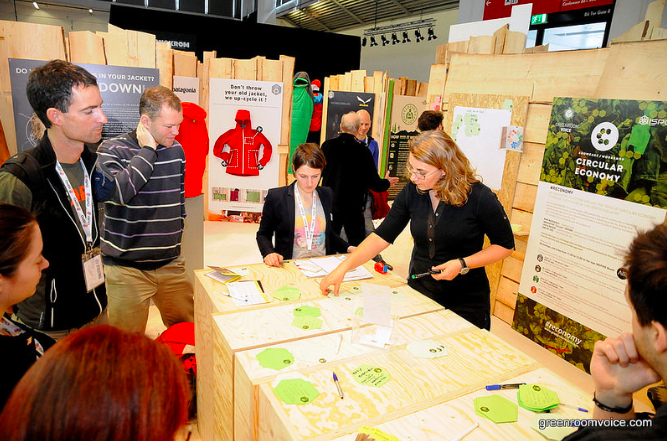 To kick off 2016, The Sustainable Angle had the pleasure of being included in the ISPO Munich INSPIRE pavilion organised by Greenroom Voice, alongside a range of international companies and organisations delivering sustainability solutions for challenges including supply chain tracking, raw materials development and sourcing, and social responsibility to name a few. 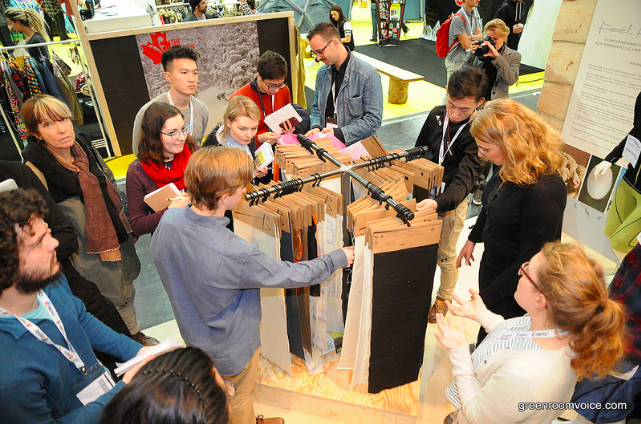 Once again Germany did not disappoint in terms of sustainability, technology, atmosphere, and its dedication to ensuring the outdoor and textiles industries are as environmentally positive as they possibly can be. For the past 5 years we have consistently found Germany to be leaders in this field, and have since seen a positive shift in countries like Taiwan who have become a greater presence in the high-tech outdoor and performance textiles market, particularly increasing the sustainability attributes of their material developments. Fairs like ISPO are especially important as they showcase not just the materials that make our clothes, but the materials, components and finishes required to make the equipment we use when wearing these clothes – helping us to ‘close the loop’ when it comes to how we view sustainability and the impact our everyday clothes and products have on the environment – for example addressing the issue of PFOCs in ski and snowboard wax that leeches into waterways through use – not too far away from the issues encountered in fashion and clothing. INSPIRE was a great opportunity for us to showcase diverse solutions for sustainable materials to an industry that already leads the way with recycled fibres (it was interesting to note just how many people assumed all the fabrics we were showing were recycled before looking through them). We were able to show that forward thinking materials made with fibres including mushroom, pineapple leaves, bi-product fish skin and oyster shells, organic leather, toxin free rubber, beeswax, cellulosic fibres made from tree pulp, hemp, and many more can all have a place in outdoor and performance wear alongside the increasingly used recycled polyester and organic cotton. 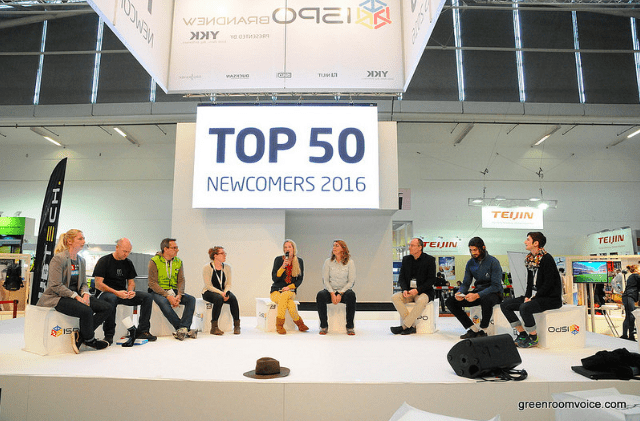 From taking part in an on stage Q&A, to participating in the INSPIRE raw materials workshop, it was an eye-opening opportunity to connect further with the outdoor industry, and hopefully help to go some way to join the dots of sustainability.